CHARLESTOWN, Nevis – The Nevis Island Administration (NIA) has installed security surveillance equipment at the Charlestown Secondary School (CSS) and is seeking to do the same at the Gingerland Secondary School (GSS). 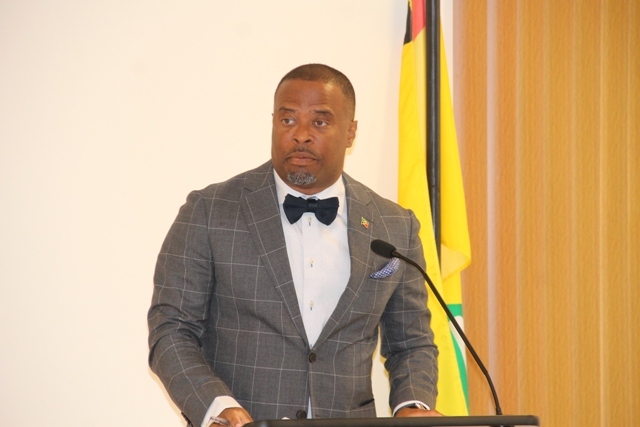 Mark Brantley, premier of Nevis and minister of education and security, made the disclosure recently at his monthly press conference at the NIA Cabinet Room at Pinney’s Estate. However, Brantley indicated he was making the announcement with a heavy heart because of the cost involved, funds which could have been spent in other areas related to education. We could have bought books, for example, but here we are being forced to buy security surveillance equipment because of the behaviour we have seen in our schools and so, it is bittersweet in that sense,” he said. The minister of education called on parents to manage their children and teach them the necessary values. He also encouraged teachers to continue to do their best with students placed in their care. He also urged students, parents and teachers to conduct themselves in a manner that would suggest that purchasing the equipment was an unnecessary venture, even though they were installed to enhance safety and security.